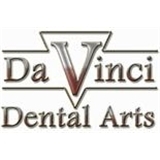 Da Vinci Dental Arts (Roslyn Heights) - Book Appointment Online! Extremely friendly doctor and amazing staff. Gives all options and a detailed description of everything going on. Doctor makes himself fully available to each patient. Ps- clean office with great prices. Highly recommend.